Varian's SpectrAA 50/55 series instruments are ideal for any laboratory requiring an entry level AA system with advanced capabilities. The single beam SpectrAA 50 and the double beam SpectrAA 55 feature a LCD screen and dedicated keyboard enabling simple, stand-alone operation. 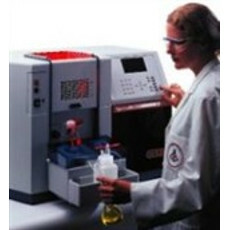 Shop a wide selection of Varian SpectrAA 50 and SpectrAA 55's on LabX. Find new and used pricing to meet your lab needs. Choose from top brands in our marketplace.